Up to the task of delivering massive amounts of additional storage capacity day in and day out, this Western Digital 320 GB hard drive is dependable and speedy. 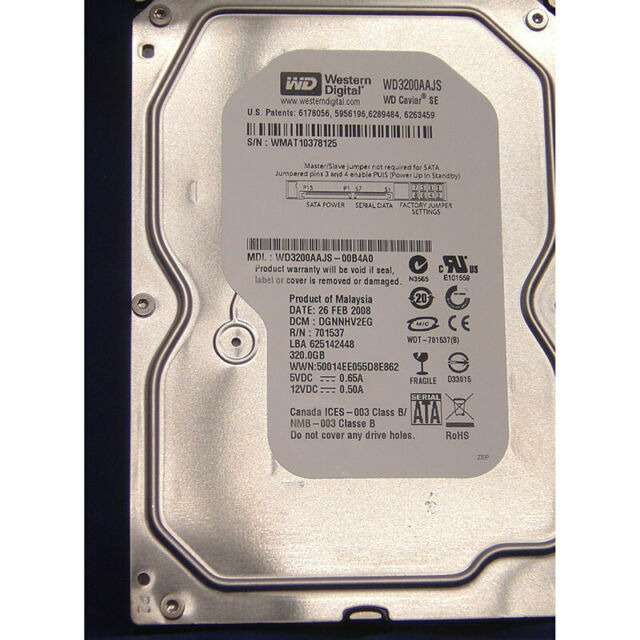 This Western Digital 320 GB hard drive is an outstanding option for upgrading your computer. Power users and do-it-yourselfers relish the compatibility and construction of the Western Digital WD3200AAJS-00B4A0. This internal 3.5-inch hard drive is a snap to install, enabling you to confidently make use of it in machines that support the SATA II interface. This Western Digital 320 GB hard drive features a lightning-fast 7200 RPM spindle speed, so you can access a multitude of MP3s, videos, and games as quickly as possible. Attain faster system performance when you're downloading music, copying files, or loading software thanks to the 8 MB data buffer featured on the Western Digital WD3200AAJS-00B4A0. Thanks to solid construction, this internal 3.5-inch hard drive is wonderfully durable, so you can enjoy the benefits of long-lived trouble-free performance without problems from mechanical breakdowns or component failures. In addition, you can keep all your favorite shared videos, office applications, and digital library with ease as the Western Digital WD3200AAJS-00B4A0 features very large storage capacity.